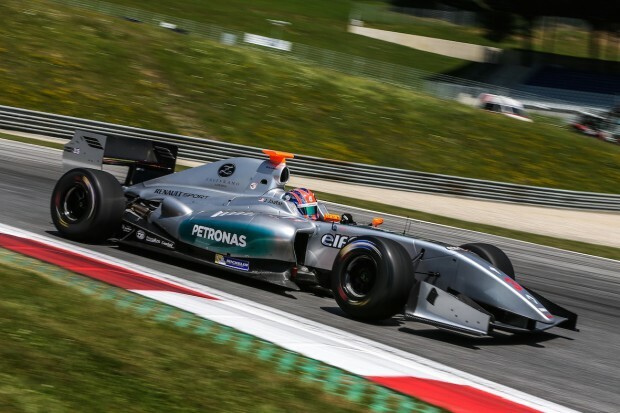 Jazeman Jaafar, leading Malaysian racer and PETRONAS Talent Development programme driver, salvaged a ninth place finish from a challenging weekend at the Red Bull Ring in Austria. Competing in the fifth round of the formula Renault 3.5 Series Jazeman finished tenth in the first race and ninth in the second race, with two strong drives. The opening practice session saw Jazeman finish seventh fastest driver, but Saturday’s two qualifying sessions, one for each race, didn’t produce the results that he has been achieving at most of the race weekends this season. Fifteenth fastest lap in the qualifying for race 1 and 16th for race 2 were uncharacteristic performances from the talented youngster. It was a clean start in the first race for Jazeman from the eighth row of the grid, with mature driving ensuring that he kept out of trouble and avoided the customary first lap melee which is often blighted by incidents. Jazeman’s strong start moved him from 15th to 12th on the first lap. He then passed Roy Nissany for 11th place and began to challenge Tio Ellinas for 10th position. The duo battled hard throughout the remainder of the race, but Jazeman was unable to overtake his rival. After the race an exclusion penalty for Roberto Merhi elevated Jazeman to 10th place. The second race, later this afternoon, was another opportunity for Jazeman to make up ground and he quickly moved up two places, with hard charging throughout the next lap to make up another two positions. Over the course of the race the Malaysian kept the pressure on his rivals and by the end of the race had improved to ninth place. The Formula Renault 3.5 Series takes a break for eight weeks, returning to the track in the UK, with the sixth round at Silverstone circuit in Northamptonshire.